The Laziest Vegans in the World: Beyond Meat Chicken-Free Strips at Tropical Smoothie Cafe! 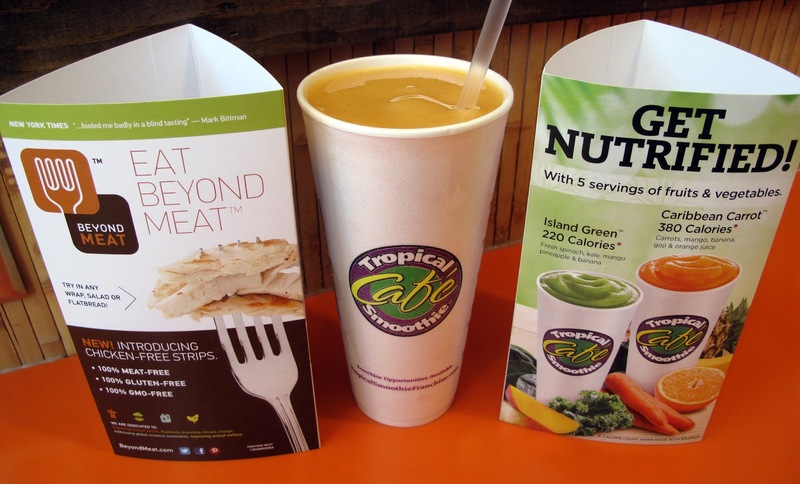 Beyond Meat Chicken-Free Strips at Tropical Smoothie Cafe! Looking at the cheat sheet, I knew I wanted the Buffalo Wrap. I love that buffalo tang and I knew it would taste great with the Chicken-Free Strips. Boy was I right, these are dynamite! Probably my favorite of the three food items I tried. For real, I could eat these everyday. 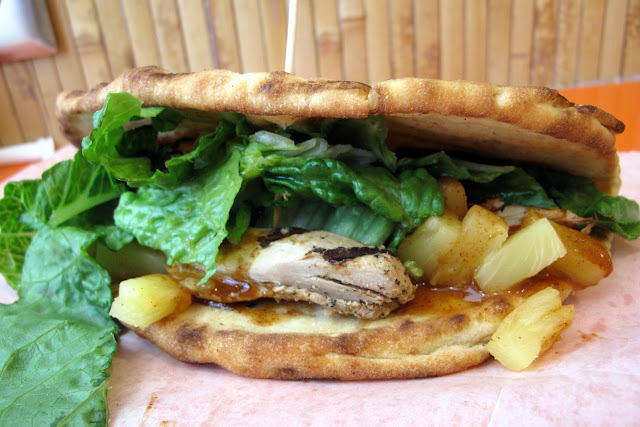 Next is the Caribbean Luau Flatbread. A very flavorful, sweet, hearty creation that's a little different than your typical sandwich fare. I have to add that the Chicken-Free Strips taste great! I believe they serve the Grilled Chicken-Free Strips. I'm not sure of their cooking method, but they are warm and delicious. 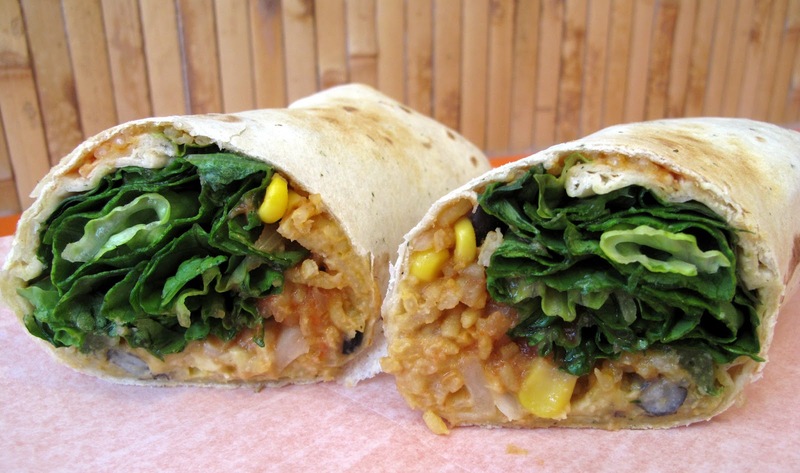 And finally we have the Hummus Veggie Wrap. Now, this wrap is normally Vegan (minus the cheese) but I tried it with and without Chicken-Free Strips (yes, I'm pretty thorough.) I loved it both ways! The strips add a lot of sustenance to the wrap, but it was also excellent without. Unfortunately, there was only one bag of chips that were Vegan. They were Miss Vickie's Simply Salt Chips. I liked them but I would love to see more Vegan options. Hopefully Tropical Smoothie Cafe can rectify that in the future. I also want to mention how impressed I was by the smoothies. If you follow me on twitter or know me in real life, you know I'm a sucker for shakes and smoothies. The two I tried were simply amazing: Island Green and Caribbean Carrot. They were refreshing AND came in very handy during this hot Nebraska month of June. Can't wait to try some of the other varieties! It's always been a dream of mine for fast food restaurants to offer Vegan options. I know it happens on the coasts with Chipotle and Subway, but nothing like that ever happens in Omaha. 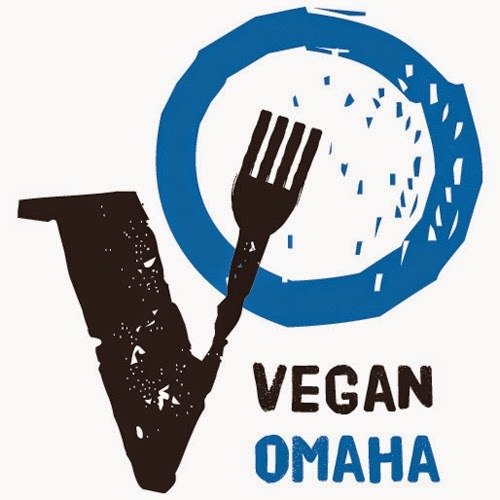 I'm really excited and I hope people come (I'm talking to the whole city of Omaha) and try all of the different varieties of Vegan eats. Special thanks to Kedar from Beyond Meat for telling me all about this. I was half drunk when he told me (we were at party, I'm not always drunk) and I didn't believe him. I'm so happy he was right! 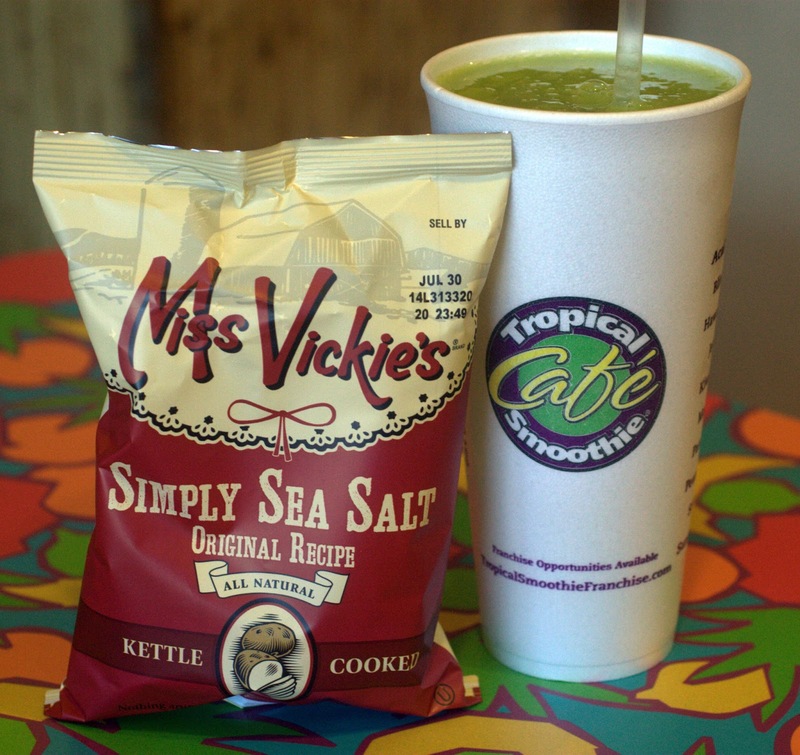 Find a Tropical Smoothie Cafe location near you here. Looks YUM! 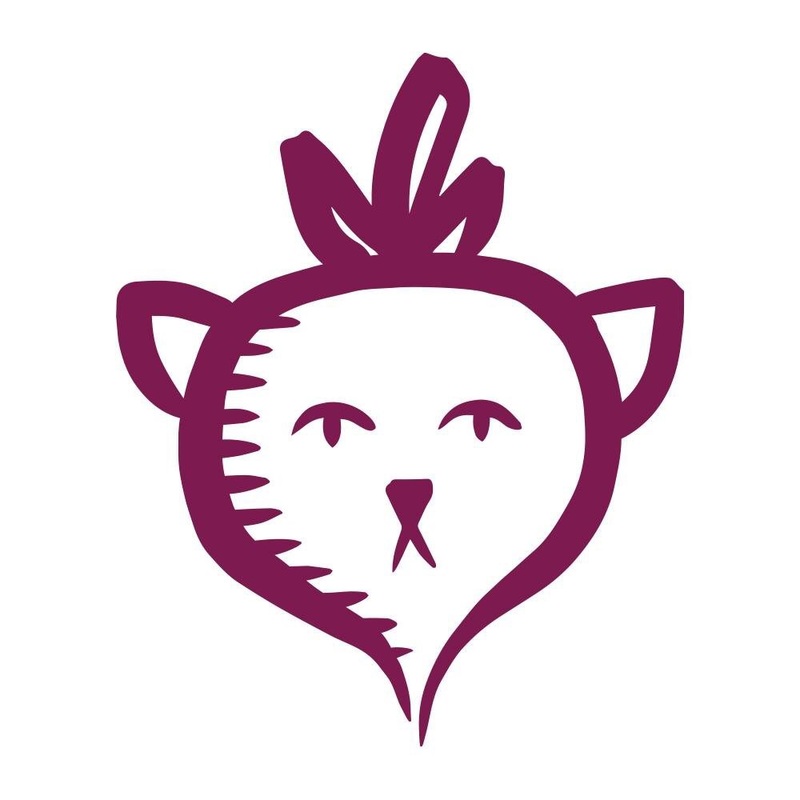 Been putting off checking if the "nearby" Tropical Smoothie's carry Beyond Meat... afraid of being disappointed (midwest worry - you know). Even if they don't yet, those smoothies sound splendid... Caribbean Carrot?!?! Haha "I was half drunk so I didn't believe him." It all sounds delicious. Very thorough investigative work you do for us. Thank you. I never knew about this place, but just found out there is one in CA about 20 minutes from me. Kind of excited to go try it out now. I'm definitely going to have your cheat sheet with me. Thanks! that's great to have a cheat sheet like that! i'd love to have one for every place i go! They have Tropical Smoothie in Fredericksburg, VA, and last week I tried a wrap. 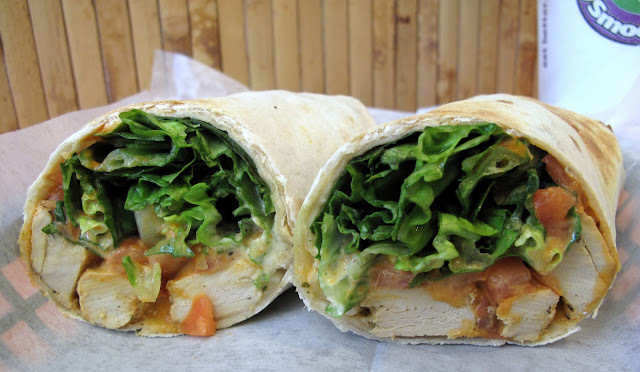 I wouldn't do the wrap again, because it fell apart; however, I loved the Beyond Meat "chicken" and really applaud Tropical Smoothie for carrying it. Thanks for the cheat sheet! Just ate a Beyond Meat Thai wrap for lunch today. Really yummy. Thanks Tropical Smoothie.